Starting at 9.30am grab your free hot drink and pastry and come and meet some new coworkers! Then I'll give away my top tips and tricks for 2014 to set you up for an organised and productive new year! (you'll get a free download to take away with all the information on). 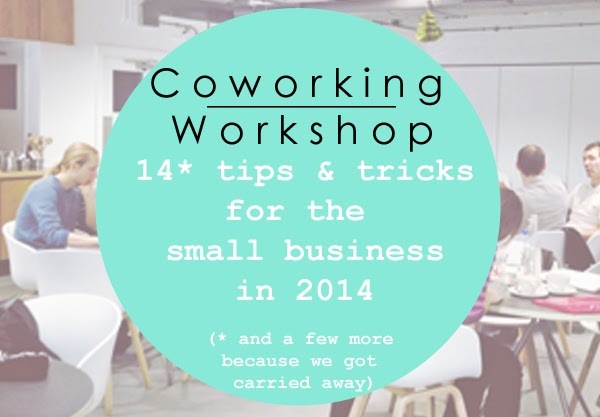 There will then be short Q & A - this is where you can tell me what YOU need from a coworking space. You can then stay on and cowork with us for as long or as little as you'd like. That sounds like just what I need - Can I come? Sure! Sign up below - but quick, there are only 14 spaces left - yikes! QUESTIONS? Email Angie and ask away!